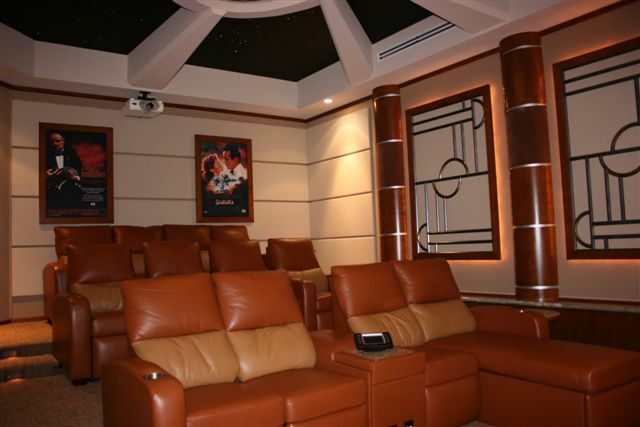 Home Theaters * WoodGrid® Coffered Ceilings by Midwestern Wood Products Co.
Home theaters have been popular for some time now. 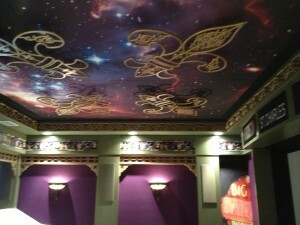 This seems to be a room where the sky is the limit in design. 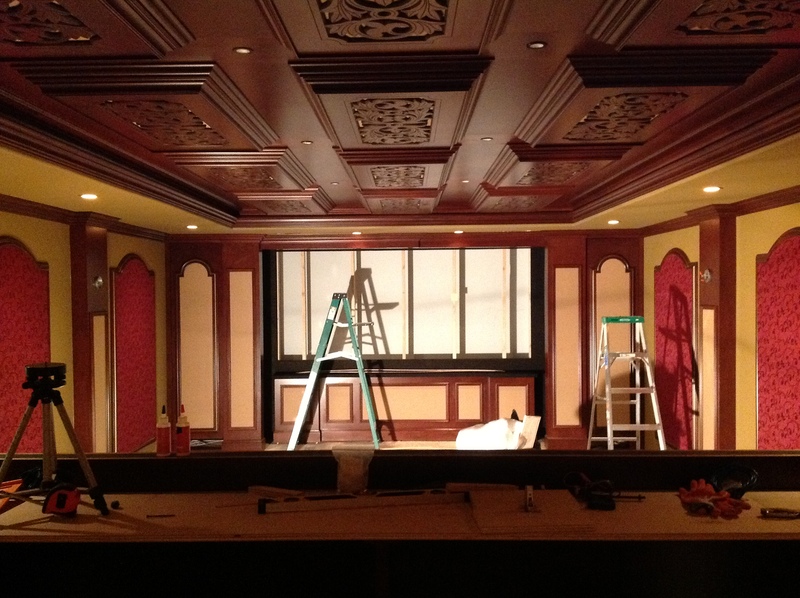 One design element that also has a practical application is our WoodGrid Coffered Ceiling. Acoustical properties for a home theater are important. 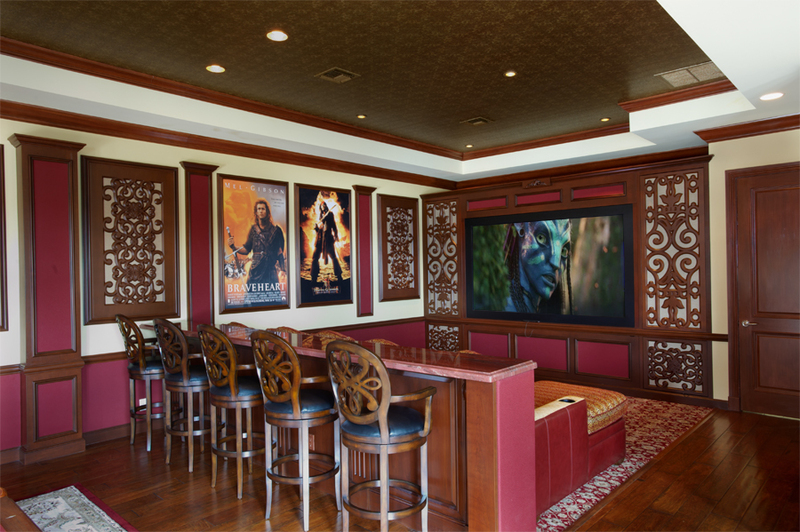 A coffered ceiling improves acoustics by increasing the surface area of the ceiling, so that the sound does not easily bounce back to the listener. 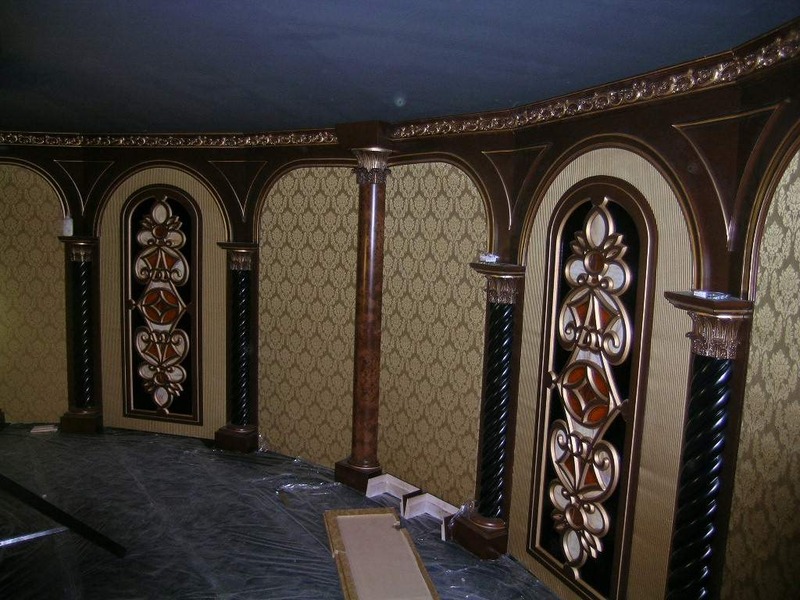 Other design features such as wall and ceiling appliques, can be used with fabric or other sound absorbing materials to improve acoustics in home theaters. 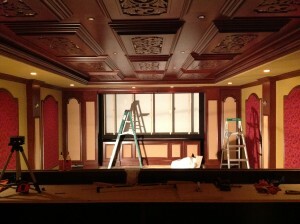 Below are photos of some of these concepts. 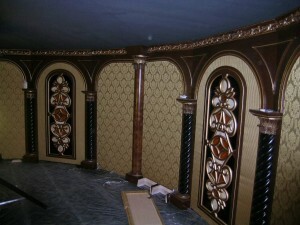 We custom design and manufacture detailed carved panels for many applications.